Figuring out the right inbound marketing for your dental practice is a long and complex process of weighing what your audience wants and what you can make. Blogs are always the first place to start because they require the least amount of established infrastructure. All you need is a website, a few interesting points, and someone with a talent for turn of phrase. However, pretty soon you may begin to realize that there are a lot of types of inbound marketing out there. There's building a social media presence, creating useful infographics, building your SEO and, of course, video. Video inbound marketing, particularly social video (shared on social media) has been skyrocketing in popularity over the last two years alone. Videos are engaging, entertaining, can be absorbed quickly, and create a lasting memorable impression on your audience. If your goal is to generate interest in good dental care and encourage locals to come into the office for a cleaning and inspection, then marketing videos for dentists could be one of the most powerful inbound marketing tools in your arsenal. Inbound marketing video tends to be made up of a series of short, engaging episodes. While you may want to start with a one-off video, it's best to plan for a series or two early because that's what audiences love. They want a delightful, informative, and predictable experience that can be fit into their busy schedules while providing some entertainment and useful tips. 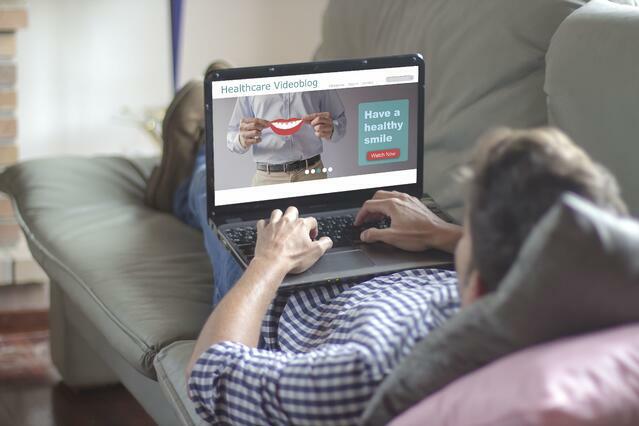 As the professional dentist, you are in the perfect place to use inbound marketing and social video to provide truly fascinating and useful video content about dentistry and at home dental care between trips to the dentists. Not sure where to start? Here are three great dental video series ideas that will have your audience coming back for more every time. Over four million Americans wear braces and nearly a fourth of them are adults giving you a fantastically large demographic for answering some of the most frequently asked questions in the dental industry. Wearing braces is something that many people really need in order for their teeth to rest comfortably and align themselves in a useful formation but braces also require the wearer to practically become a dental technician in order to eat, manage rubber bands, and keep their braces in good condition between checkups. Between teens, parents, and adults with braces, questions about how to tend and deal with orthodontia are searched for many thousands of times a day with people seeking everything from text guides to infographics to videos of how it's done. By making an engaging, friendly, and informative series of your own on how to become a master of braces, you could draw in both a large and very appreciative audience well beyond the scope of your local practice. 2) Why Do My Teeth...? The number one reason people go to the dentist is because they're worried about their teeth. Teeth that hurt in the cold, hurt when they run, get sore under unexpected conditions, or itch like crazy are all distracting and bothersome enough to drive many people to research and eventually ask their dentist. If you want to bring in a big audience of dentally curious potential patients, consider doing a series answering frequently asked dental questions and explain the most common dental conditions. With every episode, cover a different "Why do my teeth...?" topic creating yet another point of inbound marketing to draw people in. As each subsequent video comes out, you create a treasure trove of dental knowledge and advice for people on the internet to find. Not only will this series help improve dental care for those who watch it, the videos can also show off your great chair-side manner and expertise in dental issues. 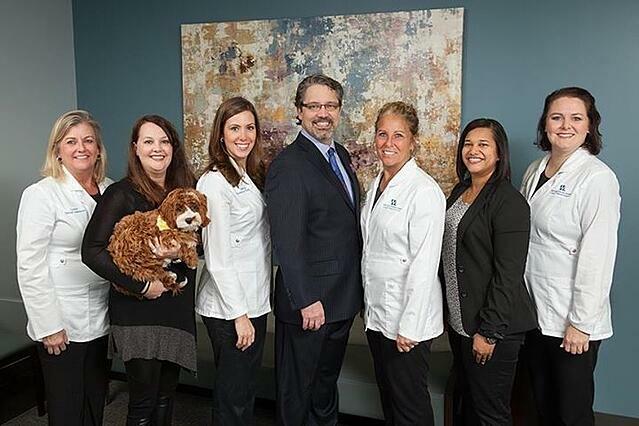 William Linger, DDS, MAGD and his wonderfully talented dental team in Charlotte NC. Most people have something left to learn about taking care of their teeth, whether it's a bad flossing method or infrequent brushing. While adults are often stuck in their ways and resistant to change, children are more than happy to learn and adapt at any moment. If you're feeling creative and love working with kids, consider making one of your inbound marketing video series for children learning to take care of their teeth. This kind of series is the sort of thing that parents can load up and set their kids down with to keep them quiet with something educational. 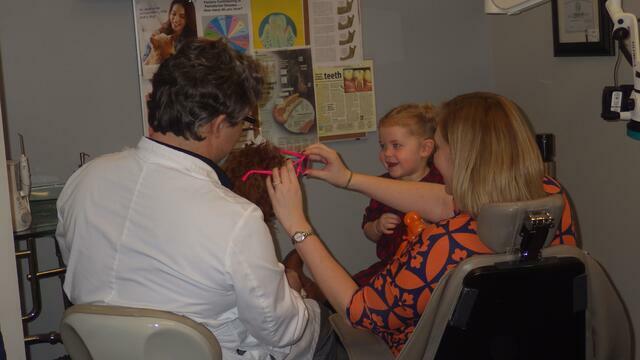 From toddlers to preteens, a kids themed dental show can engage children, teach them things their parents don't know or have long since forgotten, and foster great dental hygiene and care early in life ensuring better dental care as adults. You might even become a child's favorite doctor before ever meeting them. Fear of the dentists' office is quite common in young children and still existent even in fully grown adults. One of the sources of this fear is the overly imaginative mind wondering what all those weird and unfamiliar tools are that surround the dentist chair. People with a dentist phobia don't see a little mirror, a tooth polisher, or the rinse tool, they only see something unknown and scary either made of metal, plugged into the wall, or both. A great way to alleviate dental phobia before anyone steps into your office is to make a series of videos that introduces your audience to all the tools you use and explains what they're for. Here, you may find yourself in a unique situation as most dental inbound marketing focuses on services, not the office itself. However, by removing the mystery with a fun series of videos, you can also remove the fear and help people get into your office for a perfectly safe and friendly cleaning. Designing your inbound marketing campaign and working with a professional team can be a lot of fun. Whether you know exactly what kind of inbound marketing video you want or are still in the brainstorming phase, contact us today! Our inbound marketing experts are always ready to lend a hand.